Find great shops, unique restuarants and entertainment centres in Akihabara! What are you interested in? Akihabara is home to hundreds of shops, restaurants and entertainment centres of different specialities. Browse hundreds of entries by using the most popular categories listed below or refine your search using the top search bar. Make the most out of your trip to Tokyo with our hand crafted Akihabara Guide. 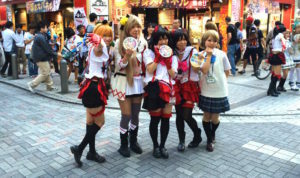 Popular spots in Akihabara	Not sure where to start from? Not a problem! Let us suggest you some of the most popular shops, restaurants and entertainment centres right now in Tokyo's Electric Town. Don't miss any of the trendiest places with this featured selection of our complete Akihabara Guide. See How It Works	Most of the shops in Akihabara are located around the main street to the west of the train station, named Chuo Dori. While big name department stores and duty free shops, such as Yodobashi Camera and Sofmap, can easily be found in big buildings along Chuo Dori, a network of hundreds of smaller independent shops scattered in the surrounding alleys capture the unique atmosphere of Akihabara and are probably the best place to get a good deal. With Akihabara Explorer, the ultimate Akihabara Guide, you will easily be able to find everything the neighbourhood has to offer. 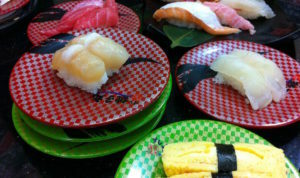 Looking for an entertainment spot, a restaurant to eat, a quirky maid cafe or a specialized shop to find unique items? 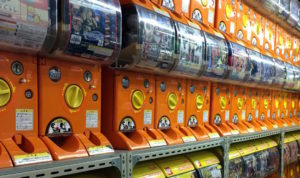 Here you will find everything Akihabara has to offer, just let us know what you're searching for. Are you after the latest manga book or an obscure video game from the 80's? Do you want to upgrade your computer? Maybe an external battery for your smarphone? Browse out locations and find just what you're after. Either if you're visiting Akihabara for the first time as a touristic spot or you're here on a mission to find something, let us discover amazing spots hidden from the main streets which we're sure you'll absolutely love. Akihabara Tips, News & Articles	Prepare your trip to Akihabara with our travel tips, keep yourself informed about the latest news of Tokyo's Electric Town, read about the most interesting shops of the moment and make the most out of your trip to Tokyo with the Akihabara Guide blog posts.